He’s back to haunt your nightmares! 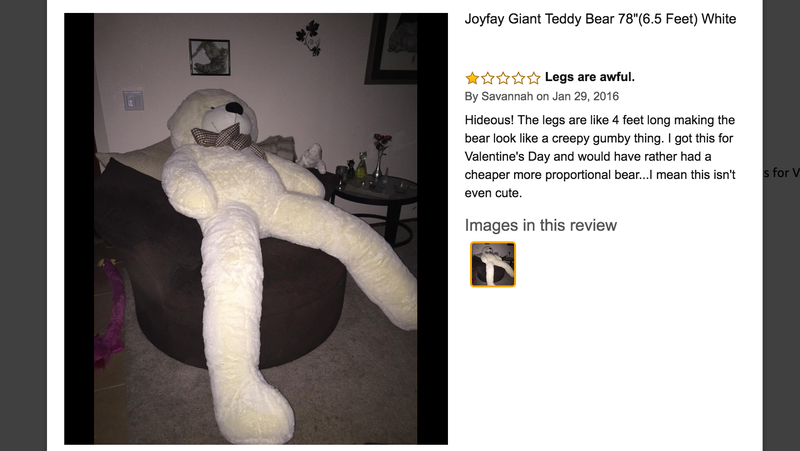 That viscerally upsetting long legged teddy bear that went viral a few years ago is on sale for $100, the best price we’ve ever seen, and $10-$20 less than usual. Every time I look at that photo, I burst out laughing, so he should be a good conversation piece, even if he doesn’t exactly provide the best cuddly companionship. So go give him a hug, if you dare, or at least just read the Amazon reviews for a quick laugh.